7 nights - Monday to Monday or Friday to Friday. Check in time is from 2pm and check out is 10am. - There has been smoking or pets in the caravan. 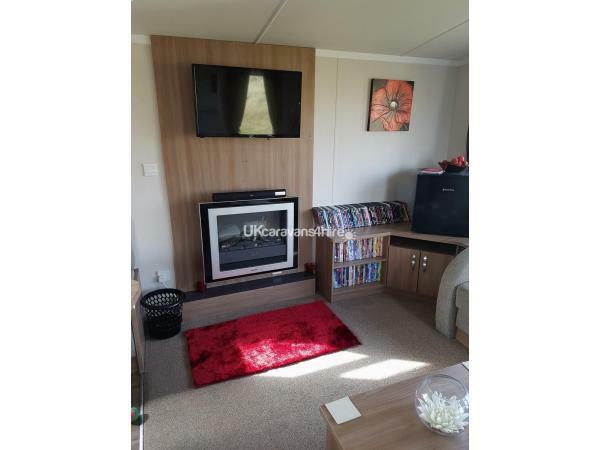 Situated in a fantastic location with beautiful views, this caravan is sited in a quieter location at the very top end of the park. The caravan is right on the edge of the sand dunes and beach access is just strides away. There is a natural sand pit just a few metres from the front of the caravan, which my children love to play in all day, and they are close enough so that you can easily keep an eye on them from the patio or living room. The entertainment complex is a 10 minute stroll or you could drive down and park up outside. This beautiful caravan has a modern theme throughout. Comprising of an open plan and spacious living and dining area and modern fitted kitchen, fully equipped with everything you could need. 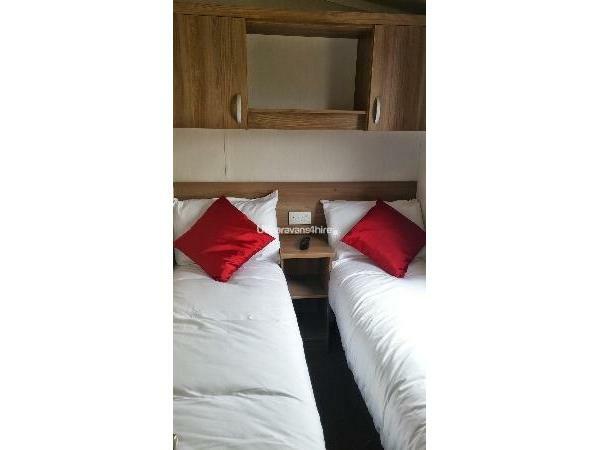 In the living area there is a wall mounted 32" TV/DVD combo with Freeview, electric feature fire and pull out double bed. There are a few little extras such as a slow cooker, tassimo machine, hoover and an extensive selection of DVD's and games for you to enjoy. There are 3 bedrooms - 1 double and 2 twin, all with ample storage and hangers. The 2 twin rooms also have wall mounted TV/DVD combos so no arguing over who watches what. There is a shower room with wash basin and a separate toilet with wash basin. For your extra comfort this caravan benefits from gas central heating and double glazing to keep you and your family cozy warm in the cooler months. Outside the caravan there is a patio area where you can make use of the garden furniture, sun loungers and BBQ. Due to its excellent position you can enjoy the sun from morning till sunset. Parking is very close by - just one caravan back from the car park. Beds are freshly made up on arrival but bath towels and kitchen towels are NOT provided. Discounted rates for bookings of 7 nights and over - Please contact me if you require a price. FUNWORKS PASSES ARE NOT INCLUDED IN THE PRICE - they are available to purchase at Haven reception on your arival. Please contact me if you require prices. STRICTLY NO PETS, NO SMOKING and NO STAG or HEN PARTIES ALLOWED! The caravan and patio area must be left in a clean, tidy and respectable condition upon departure. NO BIN BAGS OR RUBBISH TO BE LEFT OUTSIDE PLEASE. All rubbish must be placed in the wheelie bins provided on the car park. Failure to comply with my terms and conditions may result in the loss of your £70 security bond or part of. The cost of any damage not covered by the deposit will be charged for if not made good by the time of your departure. I have just returned from a lovely weekend stay at this superb caravan with my sister and our respective children (aged 7,9,12 and 15). We have stayed at Presthaven several times before but this is the first time we have stayed in a private caravan. 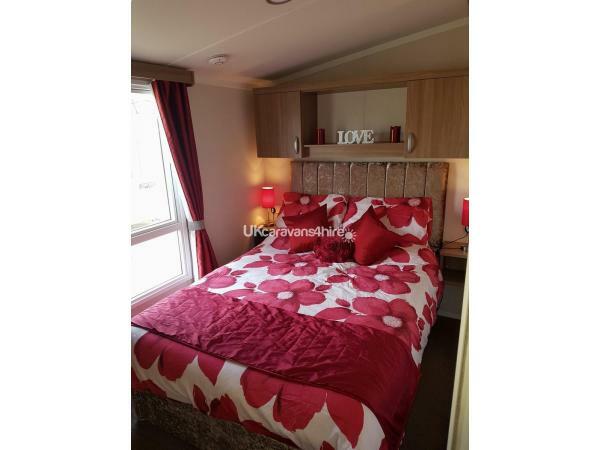 The caravan is very well presented and very well equipped and in really lovely location with lovely views of the sand dunes. The children loved playing in the sand dunes and the natural sand pit. We are hoping to return for another stay soon! Thank you for a lovely holiday :). Caravan was really well-appointed and spotlessly clean. Well stocked kitchen and DVDs at every turn, for the occasional day when the Welsh weather isn't brilliant. 10 minute walk to the main site area and a short stroll to the beach, with the dunes visible from the caravan. Diane was really friendly and efficient, a pleasure to deal with and would be happy to recommend staying in her caravan to others. We have just spent four fantastic nights in this lovely caravan. It had everything you could wish for. Great spot, lovely views, safe for children to play and the best selection of dvds I have ever seen in a caravan. The owner, Diane, is great to deal with and answers all emails right away. We only came back on Friday and she had transferred our deposit by Saturday. You certainly won't go wrong by booking this perfect caravan. We can't wait to go back. 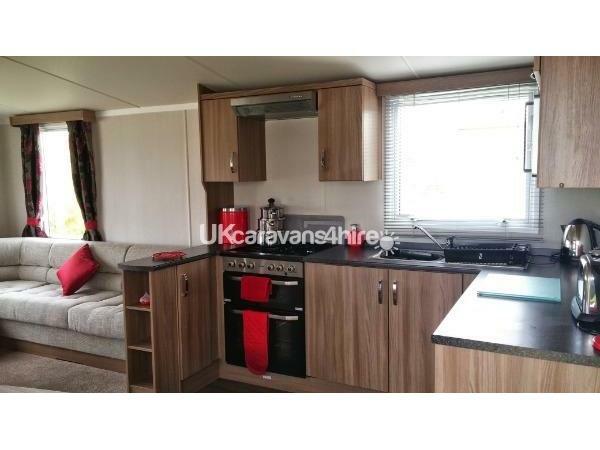 Lovely, comfortable and clean caravan. Fantastic site and great location, right next to the sand dunes and beach. Comfortable beds, a great selection of games and dvds to keep everyone entertained. I would highly recommend this accommodation and will definitely stay here again in the future. Thank you ???? We had a great weekend staying here. Diane was really helpful and was happy to answer any questions we had. The caravan had everything we needed and was really cosy. We would definitely stay here again :) Great location, great caravan. We absolutely loved our stay at this fabulous and extremely homely well equipped caravan. It had everything you could possibly need and more...it was like being back in a blockbuster shop the amount of dvds : An extensive range to choose from. Diane the caravan owner was very genuine and helpful. Communication with her was fantastic. We had lots of nostalgic moments when we were kids playing on the sand dunes nearby. It was fab! My little girl was delighted! Out of all our caravan stays so far, she says this one was her best! It was beautiful and very well looked after. Our overall holiday stay was amazing and we made lots of fun memories to cherish. This is definitely a place we wish to return to. A really lovely caravan in an ideal part of the site.. very quiet and peaceful few days. The caravan has all the that one could possibly need and more..very clean and tidy and the children loved the games and dvds. We had a lovely stay in this well-equipped, homely caravan. Diane was brilliant, and we could get in touch with her at anytime, although there was not any issues, it was perfect! Kids loved the DVD collection, and the location of the caravan was perfect! The caravan was clean and welcoming, and more than comfortable. We would definitely recommend! Looking forward to returning, thank you Diane! 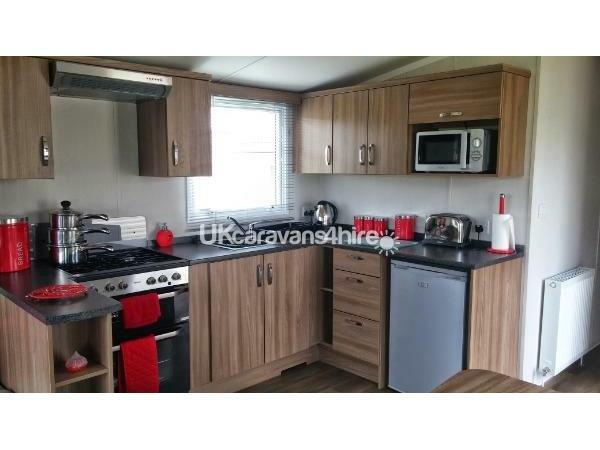 Great caravan spacious clean fully equipped, beautiful and quiet location by the dunes. 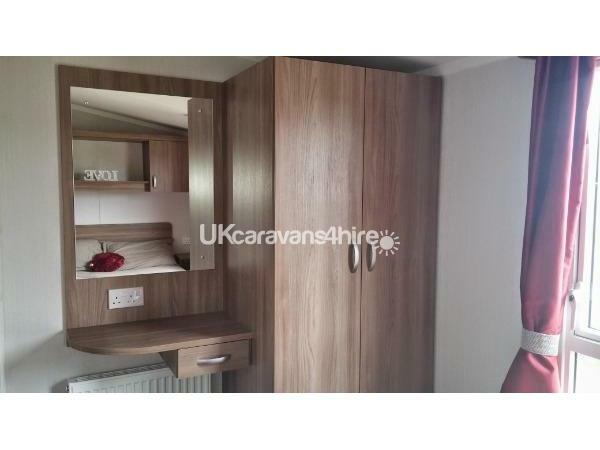 Have booked thru haven on same site before but this caravan cheaper and far better equipped. Great holiday..
A beautiful, clean caravan in a wonderful location. The caravan has everything you could possibly need to make a perfect "home from home". Rabbits outside the window early in the morning and late evening and no traffic passing to disturb the tranquil peace. Diane(the owner) was very helpful and went out of her way to make sure we enjoyed our short break. I highly recommend this caravan and hope to stay in it again. Excellent service from the owner of this caravan from start to finish! Loved the location and the caravan was beautiful.All our needs were catered for including being able to bbq outside in the beautiful weather and watch the rabbits run about! Will definitely be returning to this caravan! We had a fantastic time at this caravan. The location is perfect, away from the hustle and bustle and as close to the beach as you can get. Facilties were very clean and there was everything there we needed. Will be booking again soon. Lovely, well kept, clean caravan with everything we needed for our stay. Quiet location on the park & access to the beach within minutes. Diane couldn’t do enough for us & communications were good. We will definitely book again. A beautiful caravan in a wonderful location! Although on a family caravan site our stay was completely peaceful and quiet as this caravan is on the outskirts of the site with a lovely view of sand dunes and the beach just a short walk away. The caravan itself is spotlessly clean with everything needed for a comfortable stay. Indeed I have never stayed in such a well equipped caravan! I imagine we’ll be back many times! We stayed in this caravan for a whole week, the caravan itself had everything supplied that you could have needed! From tin opener to microwave, from hand wash to washing tabs! The cleaning products made it easy for us to keep the caravan clean without having to worry about a walk to the shop. We had traveled 2hrs to get to presthaven so to get into the caravan and be able to have a cuppa without worrying about hitting the supermarket was fabulous. The Sandpit outside the main window in the dunes is where our kids spent all their caravan time, perfect if you don't want them to wonder off but want them having their own sandy space. For families and grown ups, all in all a Great 10/10. I'd definitely recommend a booking. Grandparents with two grandchildren had a great time kids loved the position with sand pit and long cycle path.Beach stunning, position on North Wales coast great. Everthing you need in a great caravan.Cannot fault it. 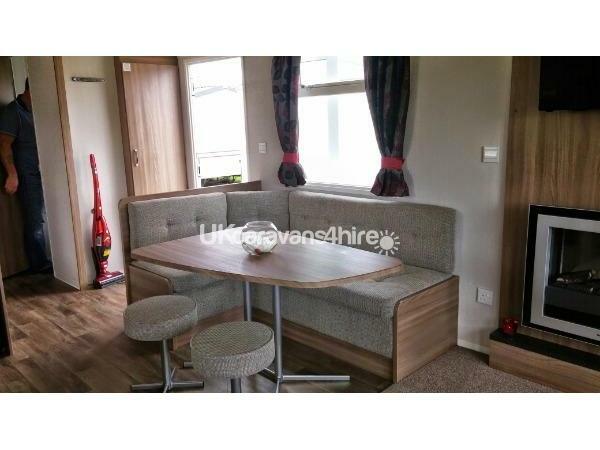 Lovely modern caravan with all facilities, great views will defiantly be coming back to stay. 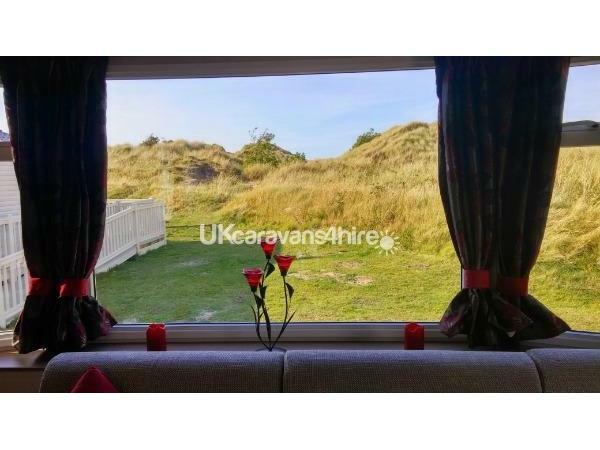 Excellent caravan in a brilliant location overlooking the sand dunes. Really clean and comfortable. Great selection of dvd's and games, the kids loved them. Owners provided full information and were very helpful. Highly recommend and would happily return. 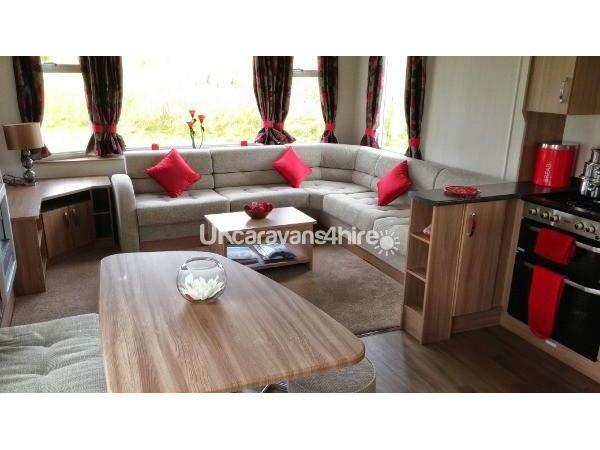 ABSOLUTELY GORGEOUS CARAVAN WITH DEFINATE WOW FACTOR! PHOTOS DO NOT DO IT JUSTICE. IT HAS EVERYTHING YOU NEED AND MORE. MAKES A BIG DIFFERENCE TO HAVE THE BEDS ALREADY MADE UP FOR YOU AND I CAN SEE IT WOULD HAVE BEEN EVEN BETTER WHEN THE WEATHER WAS NICE DUE TO ITS POSITION. OWNER WAS VERY HELPFUL FROM START TO FINISH, EVEN GOING AS FAR AS TO HELP US FIND ANOTHER CARAVAN FOR THE WEEKEND BEFORE AS SHE WAS BOOKED UP. WOULD LOVE TO BOOK AGAIN WHEN WEATHER IS WARMER. A beautiful and well equipped caravan with everything you need for a perfect break. Fanastically clean and well laid out , perfectly sited for the beach. All mod conns full gch etc. 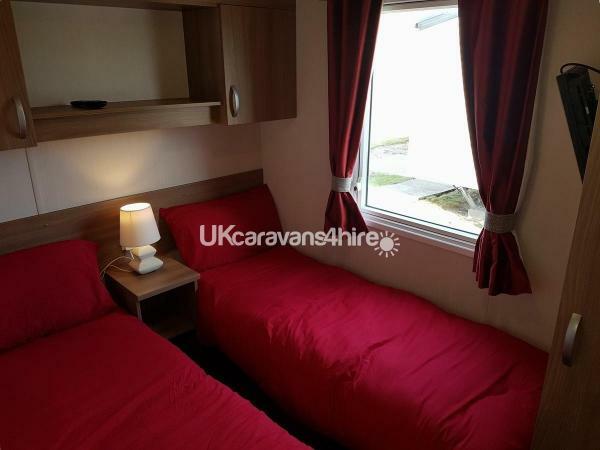 This caravan is ideally located for the Welsh attractions and we wouldn't hesitate to return. Thanks for allowing us to rent your lovely caravan. Just returned from a lovely short break at this caravan. Very modern with a spacious living area, all beds made up and full equipped. Set in a lovely area of the park with access to the beach walks. Great park for families. Plenty of amenities. Would definitely return and would recommend. Very good customer service from the owner from start to finish.